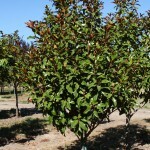 A compact, dense, narrowly pyramidal tree with flowers and leaves that are about half the size of other cultivars. 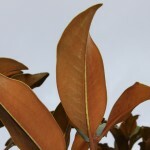 Foliage is glossy, dark green with rusty-brown undersides. 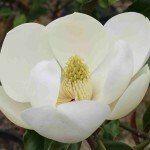 The fragrant white flowers appear in late spring, and throughout the summer. Grow in full sun to part shade in a moist, organically rich, well-drained soil. Prune if needed in winter.